From the highest mountain peak to the deepest ocean trench, the surface of the Earth spans a total of 12.3 miles (19.8 kilometers) of vertical distance. The highest point, atop Mount Everest, is 29,029 feet (8.9 km) above sea level. The deepest point, the Mariana Trench in the western Pacific Ocean, is 35,814 feet below sea level (10.9 km). The thin atmosphere at the altitude of Everest’s peak has only about a third of the pressure measured at sea level. Boiling an egg takes about three-and-a-half minutes at sea level, but atop Everest, it would take about 18.5 minutes due to the low air pressure. Everest is nearly as high as the normal cruising altitude of passenger airliners. Oxygen, needed to sustain animal life, comprises about 20.9 percent of the Earth’s atmosphere. Above 26,000 feet, the air contains insufficient oxygen to support human life. Climbers ascending the tallest mountains must bring breathing oxygen with them. Below the surface of the sea, water pressure increases rapidly. At a depth of 33 feet (10 meters), the pressure increases to two atmospheres (that is, equal to twice the pressure of air at sea level. Every 33 feet, the pressure increases by one atmosphere. Unassisted divers can manage a pressure of about three or four atmospheres, but to go lower, special equipment is needed. Sperm whales, the deepest-diving mammals, can handle a depth of about 7,380 feet (1,250 m). The pressure is equal to 223 atmospheres at that depth. Oceans cover about 71 percent of the Earth’s surface and support 50 percent of Earth’s species of life. The average depth of the ocean floor is 12,080.7 feet (3,682.2 m). 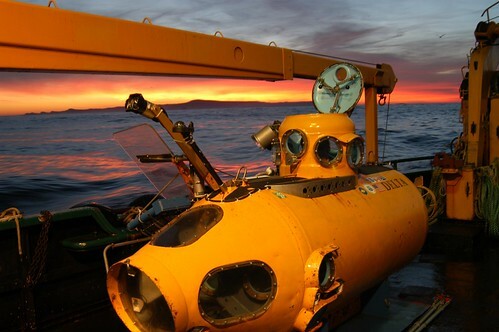 The “deep sea” is said to begin at a depth of 5,900 feet (1,800 m). Below that depth, no sunlight penetrates the water and the sea appears completely black. This lightless area is called the Bathypelagic Zone. The deepest ocean depths are called the Hadopelagic Zone, deriving from the word “Hades.” At the bottom of the Mariana Trench, the pressure exceeds 1,100 atmospheres. See Live Science's brilliant infographic which explores the earth's surface from highest peaks to ocean's depths here.